Have fun exploring this weekend! Photo taken on Mabul Island. This entry was posted in Travel Photos and tagged 50 Year Project, Asia, Beach, Borneo, Children, Kids, Life, Mabul Island, Malaysia, Photography, Travel, Travel Blog, Travel Journal, Travel Photo, Weekend. Bookmark the permalink. Sand and water, my daughter´s favourite toys. I was the same at that age. We spent many wonderful days on the beach. That is what summer is about. Getting lost in the simplest things. How do children manage to sit like that – wish I still could! My knee would give in one minute. Enjoy your weekend TBM too ! We can learn so much from children. Life is about the little things. 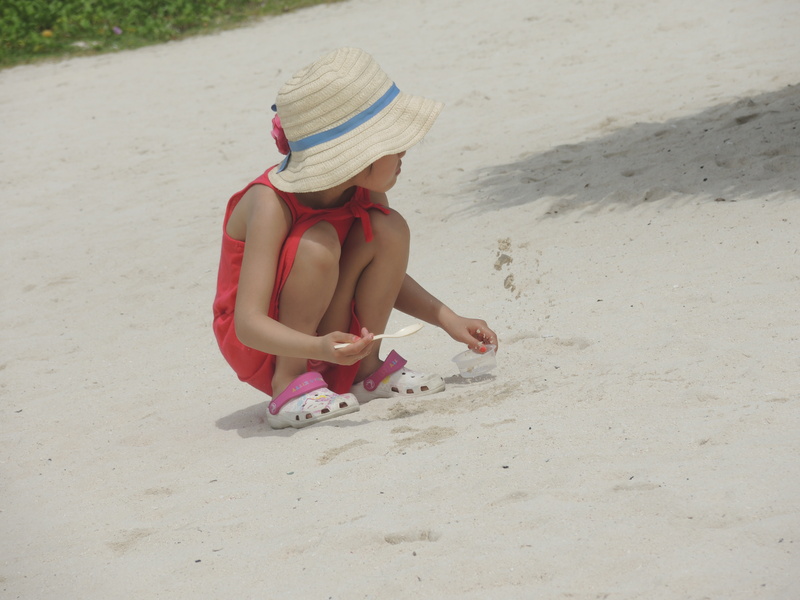 hats on children at the beach…one of my favorite sights. I wish I wore hats when I was that age. Might have prevented some of my sunburns.